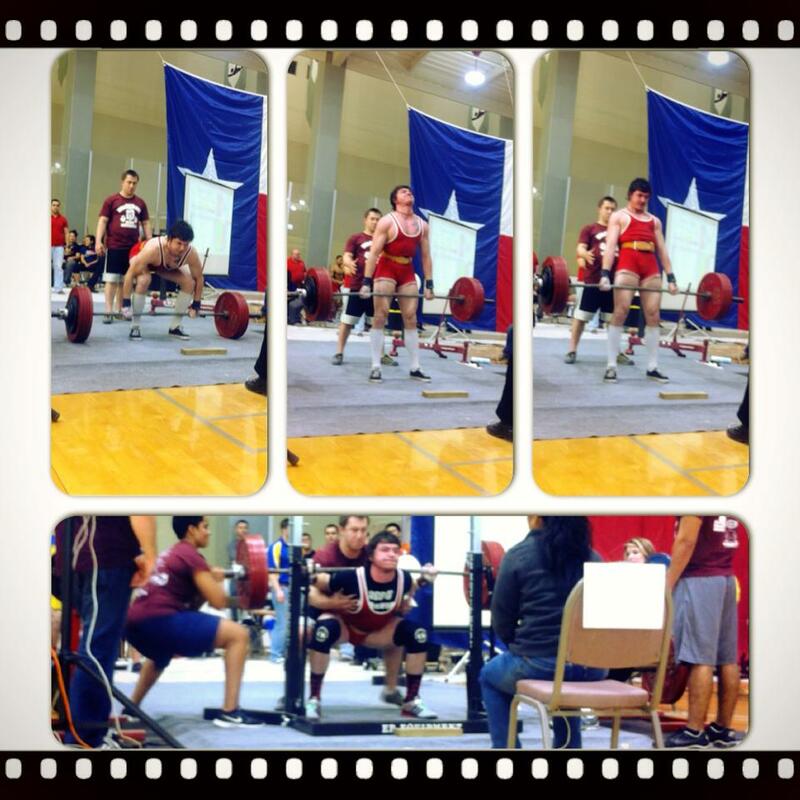 For those of you who have never been to a powerlifting meet you’re missing out. Sure it lasts up to 8 hours with only small bouts of strength spectacles, but those moments make it worth it. Competitors all come together like some outcast band of brothers. It doesn’t matter what your background is, if you powerlift you will fit in. This is community for the competitively strong. If you're not a spectator in the sport of gravity fighting then you probably don't know what 3 for 9 means. 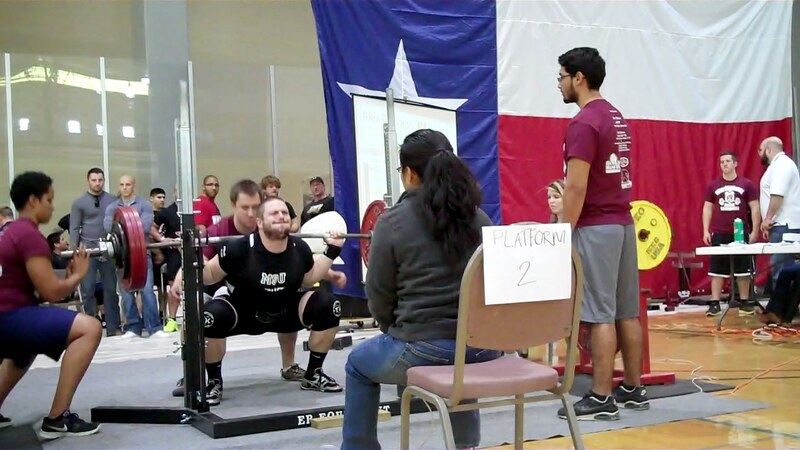 In a powerlifting meet you have up to 9 total attempts. 3 for squat, 3 for bench, and 3 for deadlift. To go 3 for 9 you simply hit all of your openers, and then fail your other attempts. It’s a bare minimum attempt at the meet. 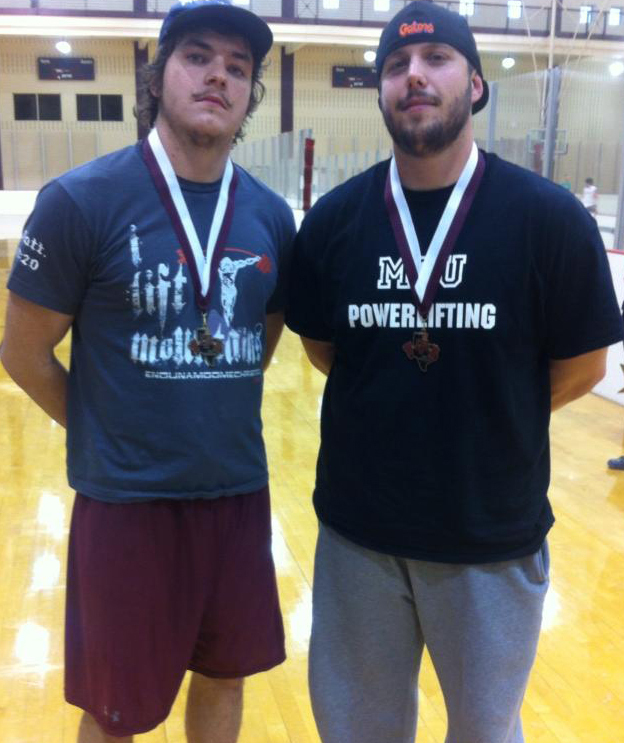 Alex and I both competed in the meet as raw, ungeared, lifters. I lifted in the 90 kg class, and he lifted in the 125 kg class. We were lifting at the prestigious A&M university, and were lucky enough to have a friend on campus that took care of us the whole time. There was roughly 104 lifters there, not counting the other several hundred people upstairs getting their pump on. We lifted on some courts in the student rec center, which meant every now and again some guys would look down on our massive quads with envy. I was very surprised at the amount of newbies at this meet. I met at least 10 guys on my platform area alone that had never competed at a meet before. 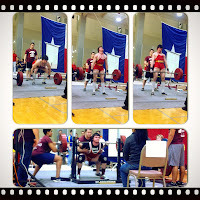 Alex was able to go 7 for 9 breaking 2 collegiate raw records. I went 5 for 9 breaking one collegiate record unofficially. For me personally this meet was a struggle from the start. I walked into this meet unsure of how I would place. Ask my long-term girlfriend or any of my closest friends, normally meets turn me into a wreck. However, for this meet I adopted a mentality that most athletes would never want to try. I decided that I would lift extremely humbled, and spend more time coaching and helping others than strictly focusing on myself. I deemed this the 3 for 9 attitude. "I’m not going to have the best day, I'm just going to accomplish the bare minimum and anything more is a blessing from God." Recently I had developed some sweet tendinitis in my right knee that was hampering my squat training. Normally I’m a squat monster, but lately I could barely do what I used to consider light weight. I squeaked out an easy 475 but couldn’t get my knee to move 500. Alex on the other hand blew up his weights with no surprise from me. For the bench press everyone stalled out on their attempts. The judges were enjoying their pause counts like eve enjoys an apple, and this just zapped the power from almost every bencher. In most classes only 2 or 3 guys would even get their second attempt. 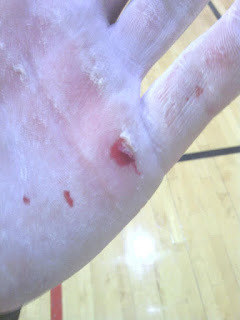 Both Alex and I went 3 for 3 on deadlift, denying gravity the fruits of it’s labor. When the pull portion of the meet arrived Alex was in 3rd and I was tied for 1st. It was our persistence at this portion that allowed us to secure the medals that we would be bringing home. 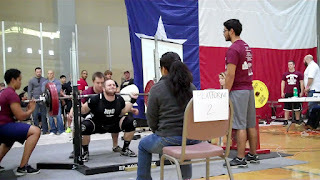 I didn't pull a meet PR, but I did out pull everyone in my class by quite a few kilos. Alex on the other hand PR’d by 30 lbs, dude was a monster. In the end I brought home a gold, and Alex wore bronze. With my 3 for 9 attitude I wasn't upset at my failed lifts. 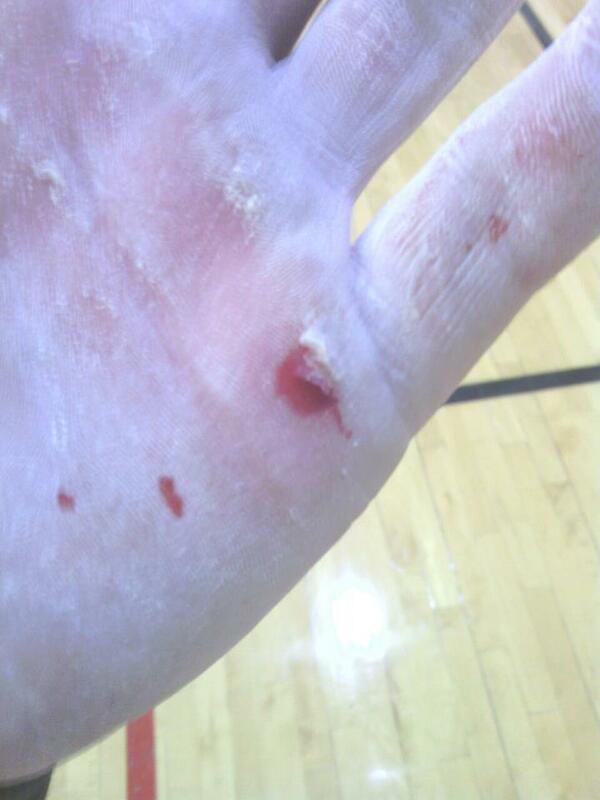 In fact I was surprised to destroy the deadlift platform and steal Gold. 3 for 9 allowed me to walk up to people I had never seen before and just help them out. Your fist meet is going to be just a whirlwind of confusion, and it helps having a “coach” there. I met several newbies in particular who had no one to yell commands at them, or even let them know what they need to do to fix their mistakes. One guy even racked the weight without the command and got red lighted, but was so pumped from getting the weight he just walked off cheering. I had to adopt him the best I could at this point, and help him get through the meet. 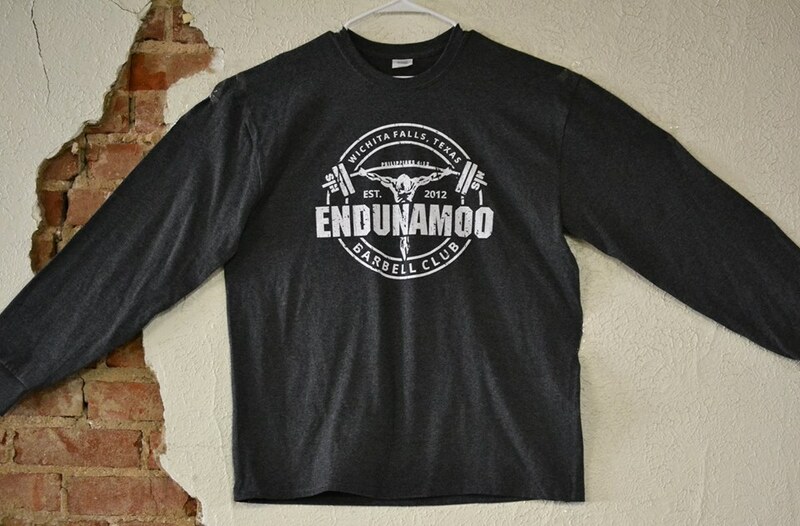 By the end of the day I had mentioned Endu to a few guys, and my sweet enduwear shirt was getting some looks. When people asked me what the website really was I settled back and thought about the best way to explain it to them, in as few words as possible. 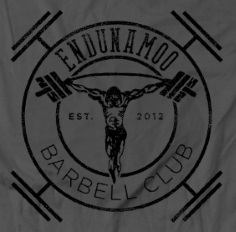 “We’re a fitness community that has it’s eye’s on Christ. We are more about honoring GOD, than perfecting the temple he lives in. Solid advice, and solid community.” So I just want to thank everyone for the solid community and for helping us grow, God bless. Thank you everyone for the support as we went to A&M and competed!